Discussions are an important part of School Loop. 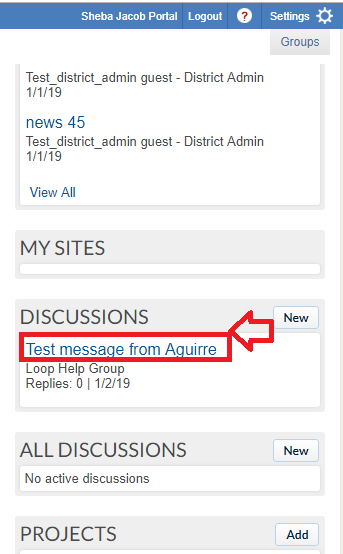 There is an automatic discussion link created for all assignments to which teachers and students have access. Also any member of a group can start and participate in a discussion that is posted to that group. Discussions create a safe and secure forum in which students, teachers and even parents (who are members of a group) can communicate about important topics as needed. Click Reply to reply to this post as needed. All assignments are posted with a discussion link. All students who are part of the course and have that assignment can discuss it with any other student who also has that assignment. The assigning teacher can also participate in assignment discussions. 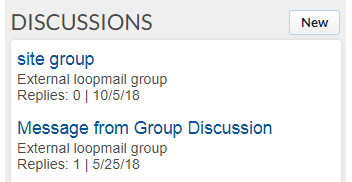 The Discuss link only appears on the assignment between the assign date and the due date. 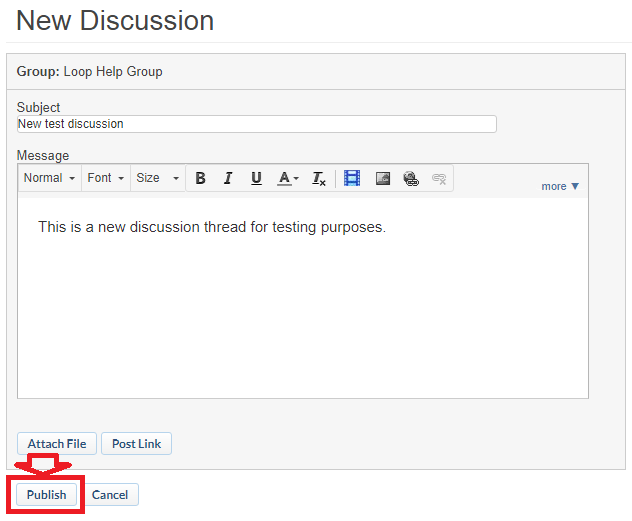 So students cannot create an assignment thread before the assign date or after the due date. For Students, the discussions appear under Discussions on the right side of the portal page. Any member of a group can initiate a discussion topic. Click New from the Discussion box on the right-hand side of your Portal Page. Choose the Group in which you would like to initiate the topic from the list of Groups to which you belong. Topics appear on the homepage of all group members. All posts are published with the real name of the publisher – so there is no opportunity for inappropriateness.